This question has been considered by multiple urbanists over the last few years. Some of the more visible conclude that an urbanism grounded in science rather than art—that is, one that is quantitative, predictive, and law-like rather than qualitative, aesthetic, and context-based—best serves the project of city building today. Santa Fe Institute scholars Luis Bettencourt and Geoffrey West opened the door with their paper in the British journal Nature back in 2010. Their “complex systems” analysis revealed that cities manifest some universal features that are determined by population size. 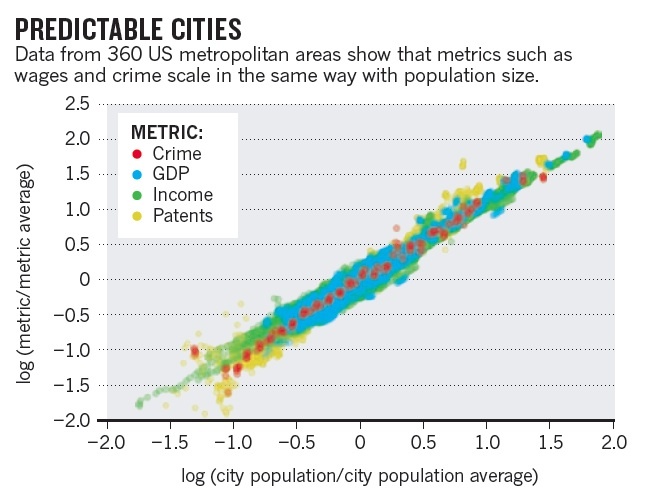 Size predicts variables like the average income of citizens, the number of patents per capita, and other aspects of urban socioeconomic productivity, interdependency, and creativity. Size also predicts levels of violent crime, the number of people with AIDS, and annual tonnage of carbon dioxide emissions. Bettencourt and West conclude that population size determines 85% of a city’s character, with the remaining 15% determined by other factors such as local history, geography, and culture. From Nature, Volume 467, 21 October 2010, page 913. In September 2012 Richard Florida called for a better science of cities via an interview with Planet of Cities author Shlomo Angel. Angel suggests that we need a better understanding of global norms in how cities function, and not just those of a particular subset of cities that, though worthy, are entirely inappropriate as comparatives. Around the same time, Stephen Marshall appealed in Urban Design International for more science in urban design education, meaning greater attention to the testing and validation of design ideas, critical assimilation of findings from disparate sources, and better dissemination of findings. He suggests that even taken-for-granted, Jacobsian ideas about the desirability of mixed use, short blocks, architectural variety, and high density—characteristics that enhance urban aggregation and vitality—should be subjected to rigorous testing. Earlier this year William Solecki, Karen Seto, and Peter Marcotullio, writing in Environment Magazine, asserted that it’s time to turn from urban studies to urbanization science. They urge us to look beyond the surface appearances of cities to the fundamental laws that underlie them. They suggest moving away from the study of cities as places to the study of urbanization as a process. 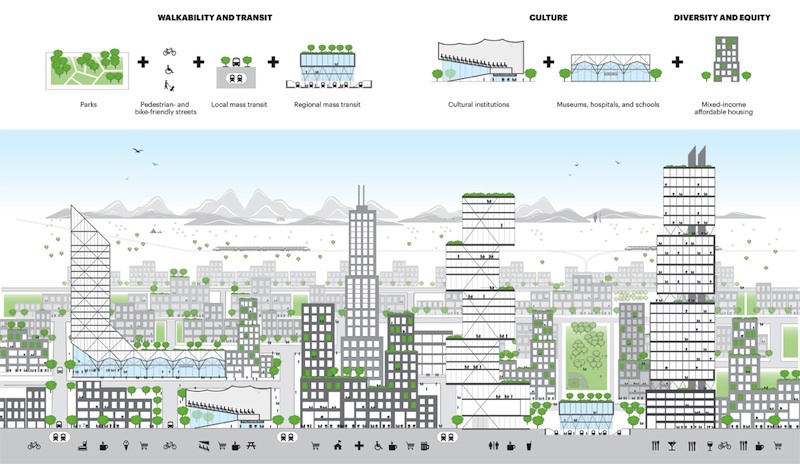 Understanding the processes by which cities develop and change across time, space, and place will, in their view, allow us to better understand the requirements of sustainable urbanism. This interest in urban processes and laws is most recently expressed by Bettencourt in the American equivalent of Nature, Science. He notes that successful theories in science are not about the form of things but rather about their function and process—how and why things change. He offers a metaphor of the city as a “social reactor” that evolves according to a small set of basic principles. These principles, in order to pass muster as science, must be quantifiable. These appeals for more science in Urban Studies have provoked varied responses (for a representative sample, see the comments section of Eric Jaffe’s Atlantic Cities piece about the work of William Solecki and colleagues). Many respondents applaud the call for greater systematization of the field. Some see the search for universal laws as a refreshing break from the more popular focus on local, place-based design. However, at least as many folks are unimpressed. These critics wonder what’s really new here, given that a concern for laws and quantification hallmarked the Chicago School of urbanism and, later, 1960s urban geography. Both frameworks for understanding the city were subsequently found wanting. Other critics accept the correlations established between population size and its dependent variables, but note that correlation is not causation. Some suggest that these findings are essentially trivial, arguing that we already know that people accomplish much more in groups than they do individually. Still others say that we don’t need to scientifically test Jacobsian ideas about city building because their application in the real world has already proven successful in many places. …urban design theory and urban design practice could have a relationship like that of life science research and medicine. A doctor doesn’t spend all of his time in a research lab, but he relies on scientific knowledge to guide his decisions on a case-by-case basis. The art comes in the form of tailoring diagnoses and prescriptions for each individual patient. “Questions remain about the morphology, or formal characteristics, of a hyperdense city. This is a relatively new arena, and we can draw great lessons from international cities such as London and Vancouver as well as emerging urban areas like New Songdo City outside of Seoul and Beirut’s new waterfront…New York, San Francisco, and Chicago provide fine examples of clustering hyperdense towers on grids of streets, but this is by no means the only way that hyperdensity can or should be planned. With rapid urbanization worldwide, experiments in hyperdense morphology will continue, and questions about best formal qualities of intense, vertically dense, transit-based cities remain open-ended. We are neglecting vibrant contextual elements and hence constructing a generic world lacking humane facets of design. Would it not be a tragedy if Paris, Venice and Barcelona all looked similar? Would we not mourn the vibrancy of Parisian streets around the Eiffel Tower, the romanticism of Venetian waters and the monumental Sagrada Familia that dominates the skies of Barcelona? Do we really want a world that is basically a mirror image of the US? What the understanding of urbanism needs is a more mindful cultural awareness of the [diverse] communities of practice that contest, battle, and cooperate in myriad idiosyncratic, political, [and] irrational ways…the map is not the territory.